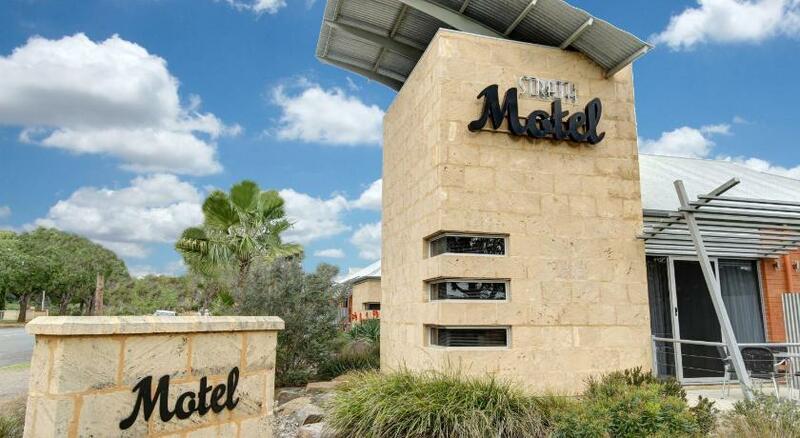 Strath Motel located in the town of Strathalbyn, a 10-minute drive from Courthouse Museum and the Strathalbyn Golf Club. It offers free parking on site. Guest rooms offer both air conditioning and heating facilities. Each has a microwave, a toaster and a bar fridge. Other amenities include ironing equipment and a flat-screen TV. The property has a sun terrace with an outdoor seating area. Luggage storage is provided. At a cost, guests can enjoy either cooked or continental breakfast in the comfort of their own rooms. Motel Strath is a 10-minute walk from the historical Strathalbyn Police Station. It is a 20-minute drive from Langhorne Creek, and a 40-minute drive from Adelaideâ€™s central business district. The Aldinga Beach is a 50-minute drive away.